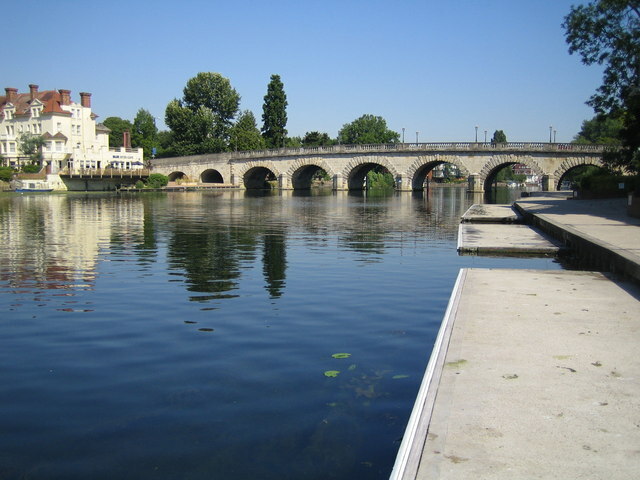 Maidenhead is the largest town in the Royal Borough of Windsor and Maidenhead with a population of just under 75,000. It is thought the town originally started out as a small Roman settlement that was practically uninhabited at the end of the Roman occupation, but there is also evidence that humans lived on the site of Maidenhead as long ago as Saxon times. The expansion of Maidenhead began in earnest during the late part of the 19th century, helped along by the great Western Railway that linked London to towns in the South West, West and Wales. These days Maidenhead retains much of its early historical charm with quaint streets and a historical flair, particularly evident in the town centre. Located just 31 miles from London and 32 miles from Oxford, Maidenhead is a desirable town for those working in either city. A Crossrail network, the Elizabeth Line, will further improve transport links to the capital, as starting at the end of 2019 there will be a fast train from Maidenhead to central London every 15 minutes. The arrival of Crossrail has stimulated a regeneration project, which will cost around £230m and consists of new shops, restaurants, office blocks and some 225 modern flats. There will also be a public space created at King Street and Queen Street in centre of the town. All being well, the work will be completed at the same time as the Crossrail network. Needless to say, these improvements have led to house prices in Maidenhead rising considerably, and the increase is expected to continue. The average price of a Maidenhead property is £560,000, an increase of £162,000 in the last 5 years. If you have a growing family, or space is tight for another reason, the obvious way to expand the living area in your current home and avoid the expense of moving is to convert that unused space between your ceiling and roof – the loft. Why Choose Us for your Maidenhead Loft Conversion? Touchstone has worked in the Maidenhead loft conversion industry for the best part of 30 years, and we are somewhat different from other conversion companies in the area because we focus only on loft conversions as opposed to general building projects. Every one of our skilled tradesmen is an in-house employee; we do not outsource any part of your loft conversion to other companies, which means we can retain our high standards consistently. Furthermore, we can help you with a building permit where necessary and the design of your loft. In other words, we can undertake the project completely from start to finish, removing the need for you to hire several companies to get the work completed. We have done many loft conversions in Maidenhead from basic Velux conversions that do not require structural change, to fully blown hip to gable conversions, which depending on the size of your loft can add several more rooms to the property. Any type of conversion will increase the value of your Maidenhead home significantly. Contact us today if you are thinking about converting your Maidenhead loft. Unlike most firms, we take a lot of time to find out what it is you hope to achieve from your loft conversion. This way we can be sure we build you a dream extension that is exactly what you had in mind. Call us on 0800 881 8194 or fill out the contact form, and we will contact you shortly.